Influencer Marketing: Why Should You Care? Do you like banner ads? Most people don’t. As a marketer, you need to think about what works and how to put your brand in front of the right audience. This quick read covers all the reasons you need to care about influencer marketing – in less than 5 minutes. Traditional digital marketing no longer works and 20% of consumers would boycott a brand because of excessive ads. What's the cure? Banner ads...nope. It's Influencer Marketing. Unlike traditional advertising, influencer content delivers a proven 11x ROI. 66% of audiences suffer from ad fatigue. What’s the cure? Banner ads…nope. It’s Influencer Marketing. Unlike traditional advertising, influencer content delivers a proven 11x ROI. No one likes to be marketed to. 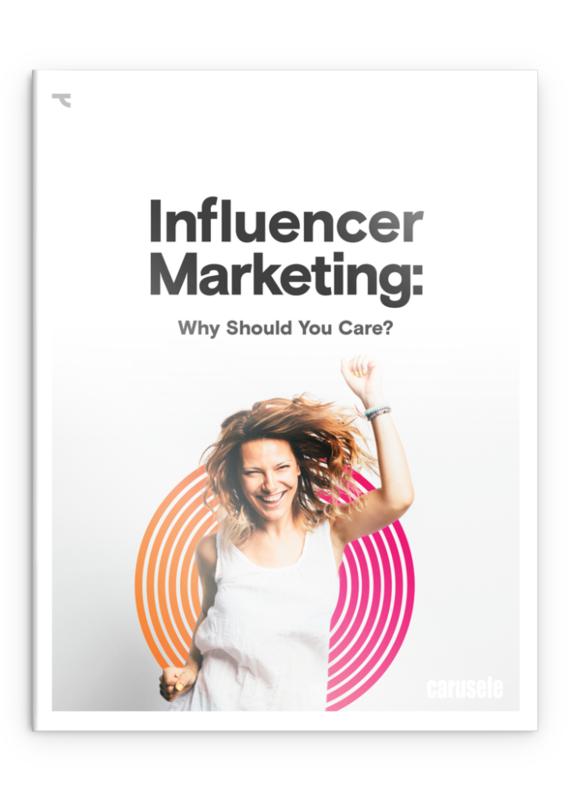 In this pocket guide, developed by Carusele and Tapinfluence, you’ll learn how to work with influencers to begin an authentic conversation with your customers.